Fewer awns than on the one on the main blog. Some statistics from 2000 from the Swiss agricultural unit. Update: try this new page here. 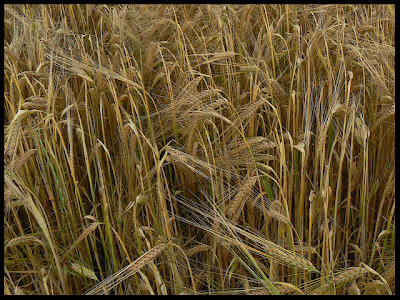 wheat or barley or rye ? That is the question ? For me on this picture perhaps rye. On the picture of your other blog, barley. But may be I'm wrong. French wheat has no awn so much long. This Claude knows his stuff......who would have believed that a simple banter about your posting of the "green stuff" could lead to this? Paso a dejar saludos desde chile..
Chuckeroon: Dangers lurk in the unlikeliest of places. Eddy, thanks for your greetings from Chile!